Robert was born and brought up in Bolton, and was an independent Medical Consultant in Public Health until his retirement in 2005. He plays piano, viola and organ and has worked as a recitalist and accompanist with many soloists, choirs, music societies and chamber ensembles in the North West. 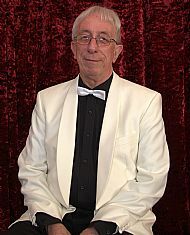 In recent years he has served as Musical Director of the Affetside Choir, the Greater Manchester Police Male Voice Choir, Bolton Festival Orchestra and Chorus, and Bolton Catholic Musical and Choral Society. For many years, he has also been Chairman of Bolton Symphony Orchestra. Christine is a retired nurse practitioner and has accompanied the Ladybridge Singers for several years. She is a keen amateur pianist and has accompanied soloists at local and charity events. Christine is also the accompanist for Bolton U3A Choir. 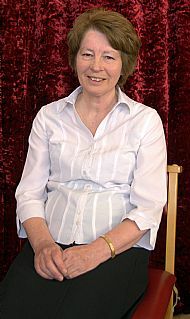 As well as music, Christine enjoys tennis, country walking and is secretary for the Friends of Bolton Symphony Orchestra.